can anybody tell who is the man in the left and where they are? is Graf Spee? If this is so - would it be the ''meeting'' on the Deutschland in which the political deal for the Night of the Long Knives was done? The picture was most probably taken on Deutschland (you can read some characters of "Batterie Köster" on the turret) during the trip to Norway in April 1934. 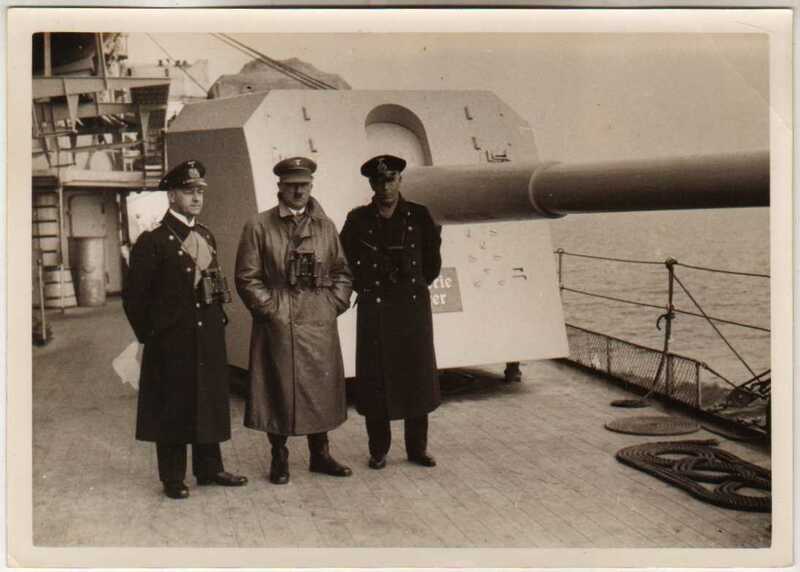 Von Fischel was commander of the Panzerschiff.